This was an excellent catalogue with 321 lots of medals and militaria in this sale. Lot 17 was a 1793-1814 MGSM with single Maida clasp to Robert Peel of the 81st Foot which just beat the estimate selling for £1357 to a telephone bidder. 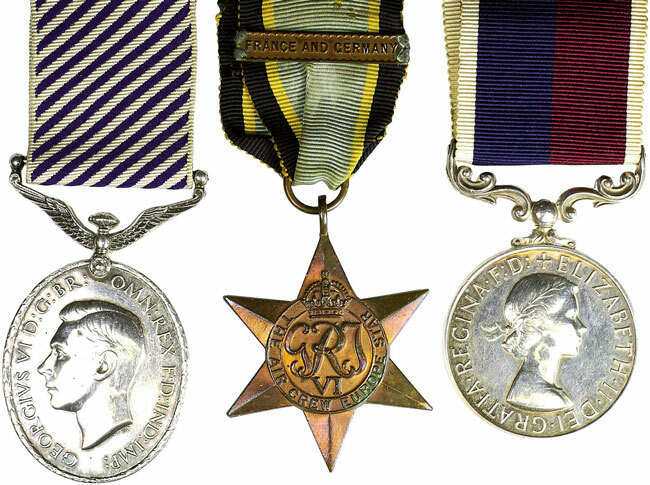 The Zulu War medals continue to sustain an increase in value with Lot 50 being an example to Pte Goode 58th Foot selling to a room bidder for £973. WW1 was well represented as usual and Lot 127, a Military Medal group of 4 to Pte J Smith 12th Bn Royal Scots Fusiliers sailed past the estimate selling for £914. WW2 had a good selection with the highlight being a WW2 Distinguished Flying Medal group with log books and other papers. The recipient had been involved in flights connected with the Hydrogen Bomb tests at Christmas Island in 1957. The group finally sold for £3422. There was 61 lots of militaria including a good range of firearms and edged weapons and Lot 262, a 1874 Calisher & Terry 30 bore breech loading percussion cap rifle sold to a room bidder for £1298.